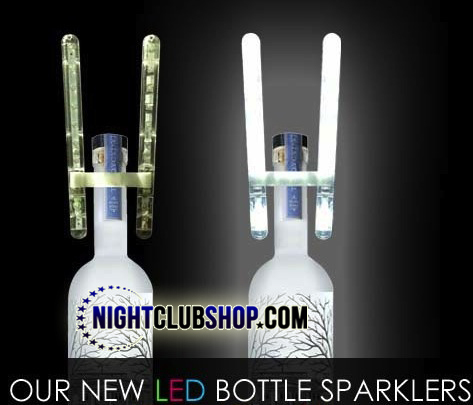 Many Nightclubs all over the world are switching over to Electronic and LED Bottle Sparklers for many reasons. 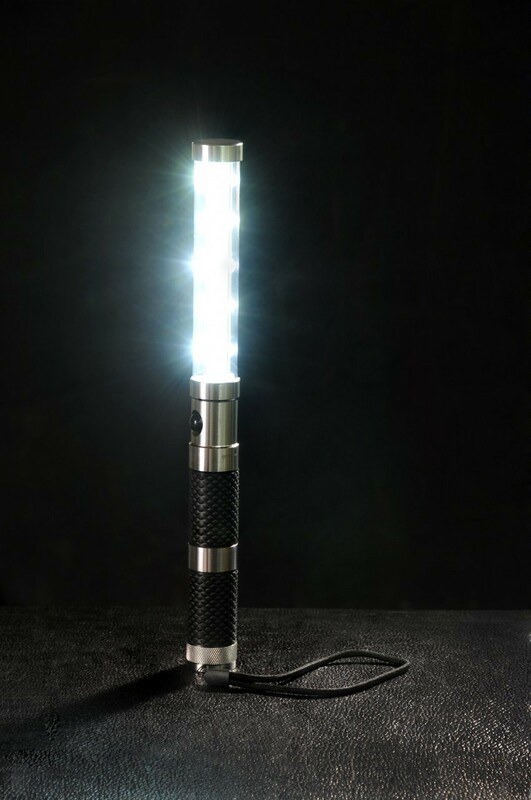 From Local Regulation and Laws, to convenience, simplicity, safety, and savings. 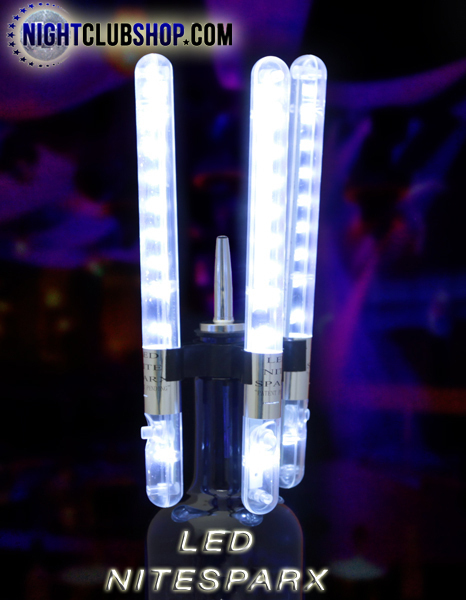 This Category will present different alternatives for Bottle Service presentations, including different LED Bottle Sparklers and LED Strobe Batons. 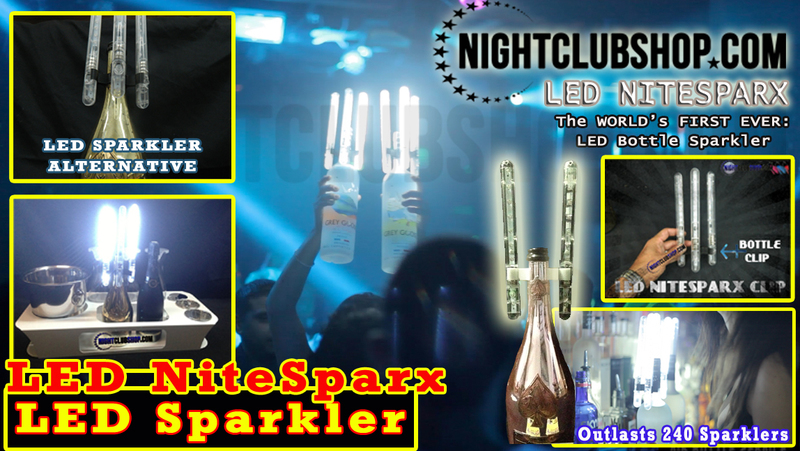 Here at Nightclubshop.com we specialize in this field and are even Licensed Dealers/Partners in the Brand New Venture/Product "LED NITESPARX" The Worlds first ever LED Electronic Champagne Sparkler!